Summer is around the corner which means it’s time to plan for your summer getaways! 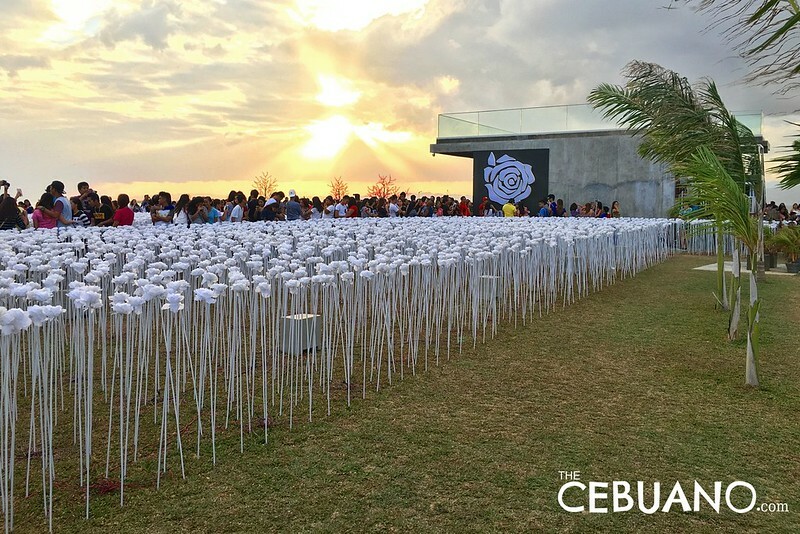 Apart from the usual yet absolutely fun stops to the beach, the mountains, or trips abroad (I’m pretty sure Kpop/Krama fans like me are gearing up for a Trip to Korea sometime soon to beat the heat), you might want to include this new eye-catching tourist destination in the heart of Cebu City, Philippines. 10,000 Roses cafe is the newest attraction at the Cordova Tourism Center. Literally living up to its name, 10,000 white roses will welcome you as you walk to the cafe. The roses stand 3 feet tall and are made of plastic. The highlight of this cafe is that at night, the roses transform into magical bright blooms that light up the cafe. It’s perfect for your group selfies and OOTDs for your trip.